– Altruette – founded by our indefatigable chair emeritus Julie Schlosser, Altruette has a wonderfully simple mission: 50% of the net profit from the sale of their charms goes to cause partners. – American Association of University Women – AAUW has been the nation’s leading voice promoting education and equity for women and girls through its research, public policy, legal advocacy, international programs, and fellowships, grants and awards. – Art 101 – The tireless Andy Markley built the bulk of our original website without earning so much as a cent. – CAMBA – Based in Brooklyn, CAMBA has assisted several Iraqi refugees who have made it to the greater NYC area get settled into life here. – Checkpoint One Foundation – Based in Oregon, the Checkpoint One Foundation has joined the fight to help Iraqi allies and works to defray cost of living expenses for recently resettled refugees. – Hartung Kemp Design Agency – HK graciously contributed to The List Project in designing our logo. – Intersections International – Based in New York City, Intersections is a multi-cultural, multi-faith, global initiative of the Collegiate Church of New York. The organization has played a large role in working to raise awareness of the plight of Iraqi refugees and continues to partner with the List Project to plan various events for the Iraqi refugee community in New York City. – Refugee Council, USA – Please visit our friends at RCUSA for a treasure trove of important reports and assessments from various NGOs and other entities following the Iraqi refugee and displacement crisis. 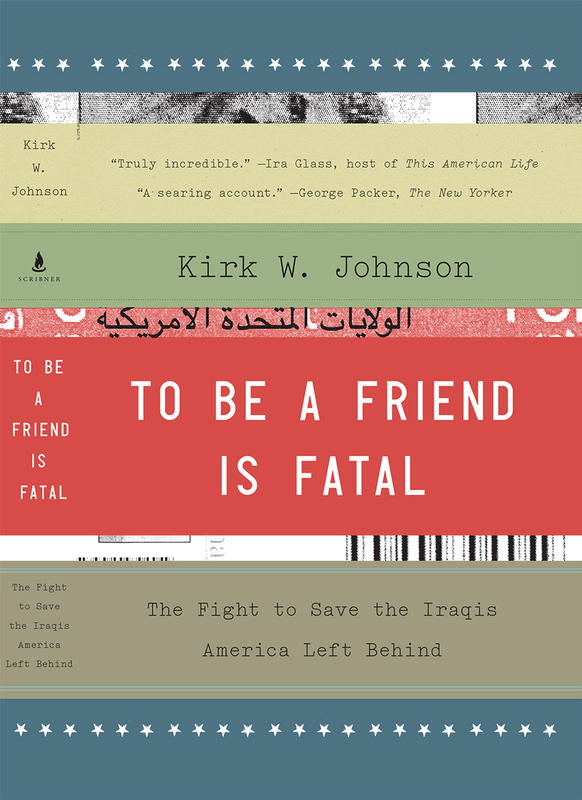 – Refugees International – The late Ken Bacon was an immense source of counsel and guidance to Kirk Johnson in the early days of the List Project. We count many dear friends among this wonderfully effective organization. – The Written Word – The Written Word has generously helped The List Project print materials.